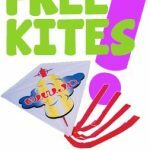 12 PACK — Free Kites! ** String not included. Does not qualify for flat rate shipping. Weave metallic pony beads and translucent beads on gold cord to make stunning ornaments. Easy enough for 2nd graders. A fun holiday craft project, for gifts or to hand out during a visit to a senior center, veterans home or hospital. So pretty, yet so easy! With this kit from MakingFriends®.com and a pair of scissors, you’ll be able to make sparkling snowflake pins for swapping. 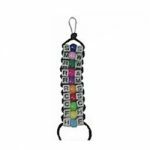 Also makes a great gift for friends or family or for a visit to a senior center, veteran’s home or hospital. Easy to make, these sit-upons are waterproof and will keep the cold away from your Girl Scouts’ butts. Cute too! 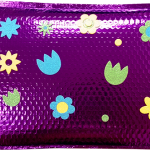 Measures 17 x 13 Water proof pouches with bubble liners for an economical cushion. *Please note* stickers may vary from photo shown and sit upon pads are not included. Wow! Learning the Girl Scout law* couldn’t easier with our law learner kit. Cord may be in black or white depending on availability. Use this convenient pack of beads for your crafts for swapping, bracelets and more when you want to make crafts using the colors of the Girl Scout Law*. March 12th is the Birthday of Girl Scouting*. Scouts all over the United States celebrate this day in 1912 when Juliette Low officially registered the organization’s first 18 girl members in Savannah, Georgia. Make our Birthday Cards to swap with other Scouts to commemorate this great day. No Blender Needed! All you need is water and optional embellishments! 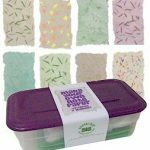 The paper making kit from MakingFriends®.com is easy to take to troop meetings. A great choice for your Get Moving JOURNEY*. Recommended for kids 8 and above. Make over 24 pieces of 4″ x 6″ note paper. 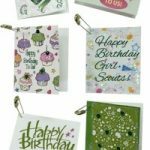 With or without your embellishments, you get beautiful creative results to make Thank You cards, invitations, and more. Tweens and teens will love to make their own artistic paper. A fun craft for your girls to make as a gift or for community service. 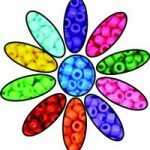 Take your troop to a nursing home, veteran’s home or hospital and make beaded snow flakes with the residents or patients.